Slight sweet, fresh lemon zing. COMMENTS: I absolutely love this essential oil. Excellent quality, good price, and very easy to use. COMMENTS: I love the scent of WSP Litsea Cubeba. I used it for a base note to add a little sweetness to lemongrass. This is a lovely, uplifting essential oil. "Great price and high quality"
COMMENTS: I always use this as a citrus anchor. Sweet and lemony. "Perfect citrus scent on its own or as a booster"
COMMENTS: This is a wonderful citrus lemony scent. Used alone for a perfect citrus scent or to boost other citrus fragrances that fade in CP soaps. I've had no issues with this in my recipes. COMMENTS: An essential oil that I use in specialty soaps for problem skin, the reviews I've gotten on this soap have been astounding! • Good smell, good for you! COMMENTS: I could not do without this one. I put it in all of my citrus blends. "Litsea Cubeba EO- Certified "
COMMENTS: Nice refreshing for both male and females. COMMENTS: A good anchor and balance for many of the other essential oils I like to use in my cp soaps. It does tend to overshadow other, more subtle oils, so use sparingly until you become familiar with the strength of this one. My soaps make my house smell wonderful while they're curing when I've added this oil to a batch. 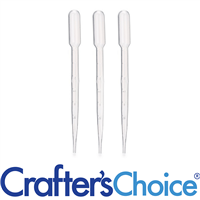 Excellent product for the price -- I'm very happy I ordered it through WSP! COMMENTS: It's a nice middle ground between lemongrass & straight lemon. Performs well in CP soap & smells wonderful at 6 weeks cure time. Customers, both men & women buy it so we're all happy. 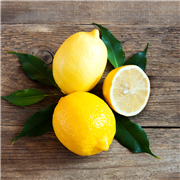 "The Lemon scent I was looking for"
COMMENTS: I can't use citrus oils, they irritate my skin. This oil gives the scent I want, with out the irritation! Love. It. "I recommend this product "
COMMENTS: Good quality. Used in a CP soap recipe with no issues. COMMENTS: This by far is my favorite eo I cant get enough. Litsea has an amazing citrus scent its clean and bright. COMMENTS: Love love..similar to lemongrass just a bit more brighter. COMMENTS: This is an excellent oil. The smell stays in my soaps & smells so fresh. Very pleased with this. "A good alternative to tea tree oil "
COMMENTS: I have customers that want a good facial/complexsion bar, that are not crazy about tea tree oil. Enter May Chang /Litsea cubeba. Works great for acne, plus has a great lemon scent. COMMENTS: I can say OMG on this one. Love how it smells. I mixed this with a couple of other fragrances and WOWZA. Sold out immediately. So fresh and bright. COMMENTS: Love, love, love this EO! If you are a fan of citrus scents, this one is for you. I add a bit of this EO to most of my citrus blends in all of my products. It definitely adds a bit of zing to my citrus scented products. "A staple -- can't believe I forgot to order more!" COMMENTS: This is something I simply have to have on hand, and WSP's litsea is of excellent quality. If you're crazy about citrus scents, like I am, you might need some list to "anchor" your sweet orange, lemon, lime, or grapefruit essential oils. It's very strong -- a little goes a long way. I love it! COMMENTS: I have been trying to find a good strong lemon, and this was it. Very slight acceleration, enough time to work the color. Customers snatched this up quickly. COMMENTS: I love the aroma of this essential oil. Lemony, but a hint of lemongrass, it is a strong yet clean, crisp beautiful scent. It works nicely in cold process soap, leaving a bright intense (but not too strong) clean lemon aroma. Try this one, it is well priced & is always very well received by customers. Highly recommend this oil. COMMENTS: I really liked this essential oil! It was the first time I've ever purchased and used it, but I made a lovely lemony blend of oils for my cold process soap. It's a very bright and upbeat lemony scent that I love. I have heard that it helps encourage the lemony scent to last in cold process. I will be buying it again, win win! COMMENTS: This "May Chang" EO smells wonderful! It has a nice strong lemony scent! COMMENTS: First time I ordered this EO and fall in love! Great aroma!!! "Love this lemon scent "
COMMENTS: This is my personal favorite. I use in hot process mainly. Smells like lemon! "Great smell Careful with usage"
COMMENTS: This has a great smell. The fragrance is intense. I found that even with using it as directed it was to much smell and it did cause some irritation. I think after I toned down the percentage, even less then what was recommended it seemed to even out a little more and irritation was gone. COMMENTS: I find myself adding a little or a lot to so many of my products. 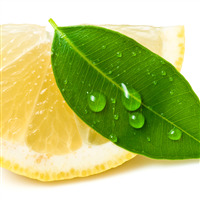 It helps to bring out and prolong the citrus fragrance of other citrus essential oils. It holds up well in hot process soap. I love the way my hair smells when I add it to shampoo bars. This one is always in my essential oil stash. "A staple in my inventory"
COMMENTS: I will never be without Litsea. This one is high quality and is the perfect addition to my citrus blends. COMMENTS: Most of my customers have never heard of this Essential OIl before trying my products. Once they get a whiff, it's an instant favorite with everyone! A must have in my recipes! COMMENTS: Wonderful oil with a beautiful fragrance when used in soap. "Great oil for "fixing" citrus scents"
COMMENTS: This oil is great for helping to "fix" citrus scents in soap. It doesn't overpower the other oils that I use in my formulation. COMMENTS: I've used this a few times now, and its a bright clean scent that seems to mix well with almost anything. I used just a tad with some Georgia peachand it seemed to really brighten the georgia peach scent without covering it up!! I love it with Eucalyptus!! Takes the medicinal smell of the Eucalyptus down, just makes it a really fresh scent!! COMMENTS: This EO has an incredible scent. So pleased with this purchase. COMMENTS: I wasn't sure what to expect, but I like this scent. It is not overly sweet or strong. I haven't paired it with anything yet, but I think it would go great with eucalyptus or something along those lines for a refreshing shower tab. "I love love love Litsea Cubeba!" COMMENTS: Love this essential oil! Can be added to almost anything. Use sparingly when combining with other scents because it is very strong. COMMENTS: This gave my CP soap a super fresh lemon type scent that sticks around. Had no trouble with the soap batter cooperating while using this oil, and the soap did not discolor. COMMENTS: Perfect scent. Stuck very well in my soaps and is a nice strong scent. Used it in Cold process soap. COMMENTS: This essential oil holds scent well in cold process soap. 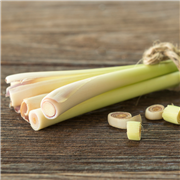 It does a great job boosting my lemon-based blends and I like it as a scent replacement for lemongrass because it is less likely to cause irritation. COMMENTS: I like the versatility of this EO. It blends well, nice mellow lemon scent which suites it to both sweet or sophisticated blends. COMMENTS: Smells just like lemongrass, I gave up lemongrass forever! No musty smell with this one, true bright clean crisp it's like Lemongrass only MORE! Holds through CP soap BEAUTIFULLY every time and is my best seller all year especially for men. COMMENTS: This behaves well but I'm just not a fan of the scent. It's too much of a cleaning product smell. COMMENTS: This smells just like lemon heads...so the question is, do you want an all natural lemon head smell? I very much like it, much less expensive that lemon EO and softer than lemongrass. COMMENTS: I use this and Shea Butter in my DIY deodorant. It melts well and has no smell to overpower the essential oils I use (which I also get from WSP). The prices here at WSP are amazing, shipping timely and packaged VERY well; nothing damaged! I also like that it's in my home state ? Provided they carry what I need, I will continue to buy all my DIY essentials from WSP! Quite impressed; thanx for great quality as well as prices! "So LEMONY - we love it!" COMMENTS: We combine this with lemongrass for a wonderful lemon bar. And it naturally is yellow in CP soaps. Will continue to buy! COMMENTS: This is one of my big sellers. I mix it with salty mariner for a lemon drop smell. Good staying power. COMMENTS: I love this EO - WSP has the best Litsea Cubeba EO - holds up beautifully in CP soap no A or D. I love mixing it with grapefruit! COMMENTS: This EO smells very similar to Lemongrass but it adds a little more complexity especially when paired with Lemon EO. I use it in a hair conditioner and customers go crazy for it. COMMENTS: I bought to help anchor some other scents and it worked nicely. It is a nice strong fragrance and you don't have to use much. Will buy more. Did great in CP and held up nicely in the bars. COMMENTS: This EO smells like lemons to me, its a nice citrus scent. I like using EOs in my soaps and bath/body products. Your company offers the best EOs around. COMMENTS: ADORE THIS EO! I use it as a substitute for Lemon essential oil because it holds up just great in cold process and hot process soap and doesn't fade for a very long time. Leaves soap a light yellow is no other colorant added. Fresh, crisp and up lifting. My customers love it too. I get a lot of requests for it. Also hear quite often, don't know whether to go lemon or lemongrass. They are both so wonderful!" WOULD HIGHLY RECOMMEND THIS OIL. Thank you Wholesale Supplies Plus for carrying such a wonderful product at a very reasonable price. • Fragrance and it lasts. COMMENTS: Never truly this before in my cold process soap I liked it because I was able to combine it with other fragrances just beautiful results. "Makes other citrus EOs pop!" COMMENTS: This is a great enhancer EO to use in conjunction with other citrus scents. I use this along with grapefruit and lime for a zingy body whip and scrub. Great value, too! 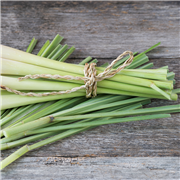 COMMENTS: We recently ordered Litsea Cubeba essential oil from Wholesale Supplies Plus and were surprised at how similar it smelled to lemongrass - only a bit more mellow. As a test, we made a cold process soap using a tried and true egg yolk recipe. Wile the soap is still curing, we're pleased with how well the fragrance is holding up. COMMENTS: This is my favorite oil to use in cold process soap. It smells just like lemonhead candies and holds its smell much better than other citrus oils which makes it very cost effective. "Be prepared it is strong! " COMMENTS: This to me was very very overpowering. Way stronger than lemongrass or lemon eucalyptus. This is something to use in very very small amounts. Unless you like this scent of course. I would not buy this again. COMMENTS: We use this in body butters, hard lotion bars, and CP soap. It smells like a mix of orange and lemon.....to me! This is one of our most favorite EO's. It mixes very well with patchouli and a little bit of orange and peppermint. Behaves very well in CP soaps. I will be ordering a larger size! "pairs well with other EOs"
COMMENTS: This EO compliments my EO blends that also contain lemon. Litsea has a bit of a "Pledge" dust spray scent on its own, but it helps to hold in the lemon EO in my blends. It's one I plan to keep on my shelf! COMMENTS: A clean lemon scent. I use it in soap, candles and home cleaning products. COMMENTS: Loved how this scent blends with other citrus scents and helps hold the lemon scent longer in my cold process soaps. COMMENTS: A lovely sweet lemon on it's own or an anchor for citrus eo's. Smells amazing! COMMENTS: Great price and wonderful product. COMMENTS: This is so nice that everytime I add it to any product it sells. COMMENTS: A winner in hot process soap and bath salts! A great quality EO and good value for the money. Mixes well with other EO's. COMMENTS: Behaves well in CP soap and is long lasting. "Another Must Have EO from WSP!" COMMENTS: Litsea Cubeba is one of those scents that's gorgeous on its own, and can be blended with so many other fragrances. It smells similar to Lemongrass, but slightly sweeter. Litsea Cubeba behaves really well in CP soap, and every soap that I make with it is a top seller for me. If you're just starting out or only want to use a few EOs, this is one that you absolutely must have! COMMENTS: Wonderful lemon tang. Excellent for everything we make. Lovely, lively clean scent. COMMENTS: Less is more, but smells of true lemon. COMMENTS: Love this scent! Holds up in cold process soap very well. A little goes a long way and it will cause the soap to overheat when using too much. But, once the ratios are tailored to your recipe it works like a dream. COMMENTS: Litsea smells great on its own so fresh and lemony. But for me it's most useful as an anchor for citrus blends. It's also great for non-citrus blends to add a bright, fresh note. COMMENTS: Will definitely order this again, I bought it as an anchor for my other citrus EO's. Love it! COMMENTS: This essential oil is a must have. This is my second lg bottle and one of my new loves. Soaps great! COMMENTS: Sweet lemony scent. Worked nicely in my CP soap. I wish the bottle had a reducer on it though. All the EOs I've purchased from other companies have them to help reduce oxidation and accidental spillage. COMMENTS: I've been looking for the perfect bright, luxurious scent to accompany my natural, outdoorsy lines. Well, it's safe to say I've found it with this. It's the major player in my best selling soap, and it soaps wonderfully. 5 stars. COMMENTS: I've used this several times and I love it. It goes well with just about everything and really shines when you do add it to other fragrances or oil. It is very strong so a lot is not needed. It's a lemony, zesty smell and I really love this oil. It is also an essential oil which is very awesome. COMMENTS: It's a very strong, well-behaved scent in CP soap! No noticeable discoloration, no naughty acceleration or ricing. I was surprised at how much I absolutely loved this scent! And if you do 50/50 with the folded orange, it smells remarkably like Fruit Loops! COMMENTS: This is a nice, strong and lasting scent similar to lemongrass but definitely with it's own nuance. A great stand alone scent for soap as well as a great scent to blend. One of my go to's for soaping to provide a clean, uplifting aroma at an affordable cost. COMMENTS: I love the great citrus scent of this essential oil, which doesn't cause photo sensitivity like regular citrus products. COMMENTS: I use Litsea Cubeba in place of Lemon EO when I want to add a little extra kick to my product. 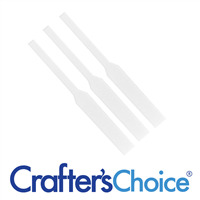 Crafters Choice is great quality at a good price! COMMENTS: This EO is HEAVEN on a stick! It's lemon! Lemony lemon! Yummy, yellow, juicy LEMON! EVERYONE LOVES IT! My customers go loopy for it! It helps to boost spa fragrances, rounds out citrus blends, and even stands alone! So versatile, so fresh, so equally appealing! This is going to be my staple forever! No A&D. What more could you ask for! COMMENTS: This essential oil has great staying power when mixed with my more fleeting citrus oils. "Citrus scent all the way"
COMMENTS: That instant you break open an orange peel or lemon or any citrus fruit is the smell of this stuff. I love it and a little goes a long way. Will be getting again. COMMENTS: Has a strong smell. I used it on its own to make candles as well as in a special anti-mosquito bug candle. Worked great! COMMENTS: I can't do without this scent in my inventory. People love it and so do I. The price is right. COMMENTS: I enjoy this scent a lot. Just the right citrus. "WONDERFUL SMELL! A MUST HAVE!" COMMENTS: I purchased this item a few months back not knowing what it smelled like. I was interested in finding a nice essential oil that was not of the general type that you always hear of. BOY WAS I SURPRISED! This has a wonderfully soft citrus scent with notes of slight floral. For me, I make deodorant and facial creams and it mixes well with lemon and pink grapefruit essential oil. I get rave reviews of my deodorants smells, because my customers love it, mostly men buy the lemon/litsea kind, but some women do too as it is not gender specific like Rose generally is. I also used some in Cold process soaps and it was AMAZING! Lasts a long time and a little bit does go a long way. I made the mistake of needing more litsea and so I purchased another brand to "get me by" while I waited for this order to arrive, and what a mistake! It stunk so bad I had to toss it. I will only buy litsea from this supplier! VERY GOOD! COMMENTS: I mixed this with a masculine scent to add a lemony note. It about overwhelmed me when I poured it, but it mellowed out nicely the next day. Litsea Cubeba is also supposed to anchor scents that fade quickly. COMMENTS: This is the first time I have bought litsea cubeba from WSP, but it smells exactly the same as the litsea I bought from another supplier long ago... and the price is better! "Litsea Cubeba - a multitasking wonder"
COMMENTS: The first thing I noticed was the pleasant scent, very similar to Lemongrass, although a bit more potent. In CP soap - mixed with Orange EO - it truly anchors the citrus scent. Lovely! But there is much more to this little wonder. Looking up some of its properties I found : antibiotic, anti-infectious, anti-inflammatory, antiseptic, deodorant, insecticidal... YES, INSECTICIDAL. That got my attention. Something natural that smells so nice to fend off bugs? I now use it in room sprays and actually add a few drops to the water when I wash my floors - no more ants, just that lovely crisp and clean smell. My shampoo bars (with Neem, Tea Tree and Litsea Cubeba) have helped mothers whose children came home from school with LICE. I am working on a Spritz with Litsea Cubeba and other essential oils for an effective lice deterrent. Now I need the big bottle. COMMENTS: This is a must have on my shelf. Blends well with just about everything. "Nice staying power with my orange eo "
COMMENTS: I used this in my shaving soap recipe with the orange x15, ratio of 1 ounce of Litsea to 2 ounces of orange in a 5 lbs batch of soap. Nice smell and staying power for my orange eo.It is a nice refreshing smell and I have always wanted to have my orange eo last in my cold process soap It has been curing for 2 weeks and it still smells so nice. I would purchase again. "Great in Hot Process Soap"
COMMENTS: It has a great lemon scent and I can use less than the recommended amount in my soaps. "litsea cubeba essential oil "
COMMENTS: I used this in cold process soap it's more of a lemon fragrance. loved it. it performed wonderfully, no ricing, seizing or discoloring my soap . I will purchase a bigger bottle next time. COMMENTS: LOVE this stuff and find it hard to believe it's actually an evergreen. Works well in scrubs and lotions and I also add just a few drops to my mop water when housecleaning. "Great lemony scent that sticks"
COMMENTS: I love the scent of lemon but have founds that it doesn't have staying power in CP soap. Litsea smells similar and the fragrance doesn't disappear over time. It's a wonderful substitute! COMMENTS: Litsea Cubeba Essential Oil has a great, long-lasting lemony scent that works well in Cold Process or Hot Process Soap making. I find that I can use even less of it in hot process soap, because of it's staying power and strength. I didn't find any acceleration in using it in Cold Process. COMMENTS: After months of soaping and being disappointed in the fall of citrus in CP, I felt like I hit paydirt with Litsea Cubeba. This is a fragrance that immediately reminds me of Aveda or L'Occitane - and is such a nice clean, lemon-citrus with green bottom notes that I could use it exclusively. COMMENTS: This is a wonderfully versatile essential oil. I've learned that it DOES NOT accelerate trace when added. This is very helpful when working with multiple colors. Yay! Will purchase again over and over! COMMENTS: Love the potency of this oil. Wonderful lemony fragrance. COMMENTS: This oil is a keeper! Whether I use this oil alone in a soap, or blend it with other scents, it never disappoints! One of my favorites! "Smells Like Lemon Head Candy!" COMMENTS: I love the smell of Litsea cubea. To me it smells like Lemon Head candy from my childhood, and is a sweet fragrant lemony scent as opposed to an acidic lemon. It's great for adding staying power to cold process soaps and will help other citrus scents to stick, as they are notorious for fading quickly. COMMENTS: Smells like candy and has all of the benefits of the natural oil- Love it! COMMENTS: I use this in my citrus soaps to help retain the fragrance. Works very well. I also use it in my bug sprays. Will order again. COMMENTS: Wonderful product! I love the smell, and it blends nicely with lavender! COMMENTS: Very strong and pleasant citrus smell. Fresh lemony and natural smelling. "Crafters Choice™ Litsea Cubeba EO- Certified 100% "
COMMENTS: This essential oil is absolutely wonderful! I use it in a variety of products and love it in everything. It is just awesome as a room spray! COMMENTS: I love May chang eo. Purchased this for a citrus belnd of may chang, lemongrass, grapefruit, lemon, lime and tangerine and orange cp soap with an accompanying lotion and sugar scrub combo. I made the lotion with a lemongrass floral water. The citrus eo blend was amazing in the cp soap, lotion and sugar scrub and I think the may chang made it so amazing - it's a must have in any citrus soap. COMMENTS: I absolutely love this essential oil. It has a nice light, sweet lemony scent and doubles as a fixative for more fleeting top note essential oils like orange. It's a great blender too. COMMENTS: I love citrus and straight out of the bottle, this scent is one of my favorites. I love how it compliments other essential oils as well. It will be a regular scent for me! "A MUST HAVE FOR BLENDING WITH OTHER ESSENTIAL OILS"
COMMENTS: THIS SCENT IS GREAT BY ITSELF OR BLENDED WITH OTHER CITRUS ESSENTIAL OILS. I WILL BE BUYING MORE!! COMMENTS: heard about litsea cubeba years ago but never thought to try it until now. It's the most incredible smelling citrus. Use in soaps by itself as well as blended with Blood Orange EO - just lovely. "A must have for essential oil blending!" COMMENTS: I had no idea what to expect when I bought this, but I am SOLD. I use mainly essential oils to add fragrance to my beauty products and this is a nice addition to my collection. It is lemony, but has floral and woody notes as well, which make it interesting. I can't wait to blend it with other oils or just use it on its own. "great anchor scent for citrus oils"
COMMENTS: This is a strong Meyer lemon scent. If you've ever had a Meyer lemon (best for lemonade b/c they are sweeter).At first I wasn't sure, as the lemon scent reminded me of lemon furniture polish. Who knows, maybe they repicated the fragrance. I used 2 ounces in a four pound batch of avocado CP soap and it smells better each day. I will definitely be buying more. "It does smell a little bit like pledge"
COMMENTS: I just do not care too much for anything that smells like a cleaning product. COMMENTS: I was shocked to open this and it smelt just like pledge, I had to look again and make sure it was a EO. To me it is a sweet vanilla lemony in a fake way, not a yummy cake or fresh scent. I will try this in a candle and kitchen soap next...I would buy again. COMMENTS: Love this scent! Could use it in everything. Smells clean and fresh. COMMENTS: Love this! Smells fresh...like lime. COMMENTS: I was really curious about Litsea Cubeba. Reviews convinced me to try it and glad I did. Only used in 1 product so far as a test, but rolling out to others soon and trying in a few blends too. COMMENTS: Very strong scents, sticks well in cp. COMMENTS: I used this in cold process soap, it performed wonderfully, not ricing, seizing or discoloring. I will purchase again. COMMENTS: Summer,happy, love,................. Wow, very strong and holds up very well, when using in the shower, the bathroom smells but it is not overpowering on your skin. The EO oil is yellow, so also no need to color your soap if you like it to stay yellow, used yellow coloring and a natural swirl with kaolin powder and they almost had the same color at the end. One of my most favorites and is behaves perfect in CP soap. COMMENTS: Great fragrance. Soaps wonderfully. I had no acceleration or ricing. Holds well with no fading. COMMENTS: I have this on hand at ALL times. I and my customers LOVE this scent. Mixes great with other EO. It's just wonderful! COMMENTS: I bought this on a whim, having never heard of Litsea Cubeba, much less smelled it. The price was right, and it sounded interesting, so I thought I'd try it. I'm glad I did, because I love it. It smells sweet and lemony, and it just a very happy scent. It came through very nicely in my lotion bars. I also did some with a Litsea Cubeba and Blood Orange blend, and those smell great too. COMMENTS: I use this a lot when trying to achieve a lemon scented soap. The scent last much longer compared to regular lemon essential oil. COMMENTS: I absolutely love the fresh citrus fragrance of this essential oil. I used it in my kitchen coffee soap when I ran out of lemongrass. I use it now instead of the lemongrass. It's a favorite request amongst family and friends. COMMENTS: I took a leap of faith on this scent and now I love it! I love the herbal tones that Litsea offers with a nice fruity back note. I add this to my fruity lotions and soaps for a fixative for other fruit scents. My customers love it! COMMENTS: this is a nice scent. be careful though--it's very strong! makes wonderful blends. COMMENTS: I blended this with lavender and sold out within an hour of it being made! Same with batches 2 and 3! "Awesome, love it...but didn't at first LOL"
"Great anchor for citrus scents!" COMMENTS: I use this to mix with my other citrus EOs and it works great. Nice lemony scent and works great in CP soaps and holds up well. "A must for citrus fragrances!" COMMENTS: We use this oil to deepen our citrus blends (add just a little), or soften our lemon grass blends. A nice, high quality essential oil that will add longivity to your citrus blends. "Wouldn't make citrus scented soaps without it!" COMMENTS: I use this in my cold process soaps that contain other citrus scents (grapefruit, lemon, lime) it seems to help hold the other scents in longer. "Didnt expext WSP to carry this EO but they do!" COMMENTS: i love the scent of this EO, and had been looking everywhere for for a good price on the stuff. its smells like the citrus section of a farmers market, and is super stong. This EO is also known as May Chang, so you might be more familiar with that name. If you arent, and if you love citrus-y scents, than this is totally the EO you need to try. COMMENTS: I use this to anchor Citrus scents in CP soap. I use at 10% of my total fragrance's. It seems to work and has a nice citrus smell of its own. COMMENTS: This Essential Oil made the most fantastic addition to my cp soaps. It works well in all the applications I used it in and its scent has a great throw with true staying power. COMMENTS: Great EO! Love it!! COMMENTS: I use this essential oil in a blend with other oils to make this one of my top sellers. I have tried many other oils and was not impressed with their quality. This one is a keeper! COMMENTS: Great lemony smell and longer lasting than lemon essential oil. Absolutely love this scent mixed with a little vanilla! COMMENTS: It has soo many different applications - CP, MP, lotions, cuticle sticks, shampoos/conditioners & much more. I love that it has a bit of a buttery scent to it and can be mixed with Lemon EO to afford a Lemon Poundcake like fragrance, but still be 100% EO based. COMMENTS: I absolutely love this essential oil and have ordered it many times at my customers request. To me it smells just like a lemondrop and makes my mouth water just thinking of it. A REAL eye opener. I have used it in my CP soaps and it does not accelerate trace. COMMENTS: I use this in many blends and it is the best by far of any Litsea Cubeba I have smelled. Highly recommend. COMMENTS: This is my best selling EO almost all of my citrus base CPOP soap have this EO! I just the clean and fresh smell. Highly recommend. COMMENTS: Litsea is a great beginner fragrance oil since it is light and appeals to the masses. It also blends well with a variety of other essential oils. I use this EO extensively in my cold process soaps. COMMENTS: The litsea cubeba EO has never failed to hold up and last in any product in which I have used it. It is staple EO in my collection.